Give your dining room the perfect gathering place with this customizable table. Its top comes in different sizes and shapes and at different heights, while its base is available in different leg, trestle, and pedestal options, ensuring you meet all of your style and seating needs. You can choose from an array of different rustic finishes to top of your design too, so you're sure to get the exact final product you pictured in your head. 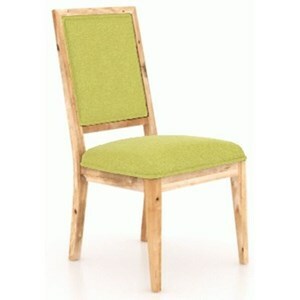 Enjoy the best of customizable style with this upholstered side chair. You're sure to love the way its design utilizes clean lines and a solid birch frame. You're sure to love the way you can take its design in any direction you want too by choosing from a plethora of fabric and leather options for the seat and seat back's upholstery, as well as picking from an array of different rustic finishes for the exposed wood. Plus, you can even include nailhead trim detailing on the upholstery's border in one of two finishes for even more personalized flair. 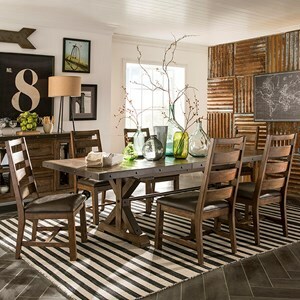 The Loft - Custom Dining Customizable Rectangular Table Set by Canadel at Belfort Furniture in the Washington DC, Northern Virginia, Maryland and Fairfax VA area. Product availability may vary. Contact us for the most current availability on this product. 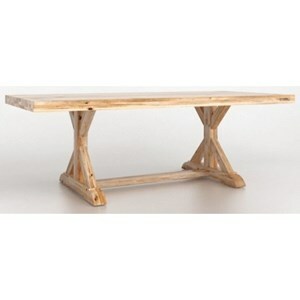 The Loft - Custom Dining collection is a great option if you are looking for Rustic Transitional furniture in the Washington DC, Northern Virginia, Maryland and Fairfax VA area. 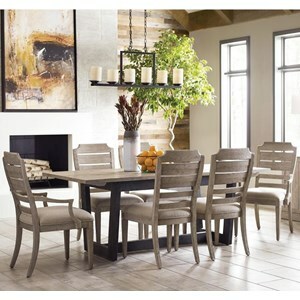 Browse other items in the Loft - Custom Dining collection from Belfort Furniture in the Washington DC, Northern Virginia, Maryland and Fairfax VA area.